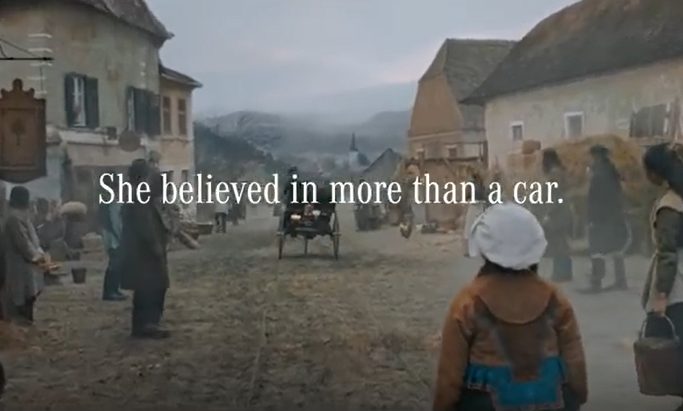 Mercedes-Benz joins the automotive world in making room for women with the She’s Mercedes campaign, beginning with the story of Bertha Benz. As the automotive world continues to shift its efforts to make room for women, Mercedes-Benz has made an effort to highlight the amazing professionals who strive to be difference makers within their communities. Flashback to the very first long distance car ride in 1886, as Bertha Benz – wife of Karl Benz – ensured that the automobile concept that her husband had would carry out the best or nothing principle Mercedes owners enjoy today. There are so many women that strive for excellence with their tenacious grit. Unfortunately, many of these women also go unnoticed. Mercedes-Benz has other ideas. The brand has inspired an initiative to empower women all over the world who aim to achieve personal and professional success. She’s Mercedes is a hub where women can connect and exchange ideas, share experiences, and learn from one another. The networking circle aims to create conversation, develop new ideas, and drive determination. Women from several backgrounds and industries are encouraged to attend events where they engage in dialogue about their career achievements, mistakes, and goals. On March 11, 2019, Hollywood star Gwyneth Paltrow was a VIP guest at the “She’s Mercedes Dinner” during the South by Southwest (SXSW) festival in Austin, Texas. During an interview session, Paltrow discussed with many professionals in industries ranging from business and fashion to creative and tech. The Goop founder also acknowledged the issues of balancing health, work and family life. The platform has been a pillar of Mercedes’ “Best Customer Experience” strategy since 2015. The brand’s goal is to dive deeper into dialogue with women and increase the significance of the brand for the group. For more information on the initiative follow Mercedes.me/she and its social media channels on LinkedIn and Instagram. She’s Mercedes continues to grow and encourages women to join the She’s Mercedes Lounge and connect with fellow successful counterparts. As we celebrate Women’s History Month and International Women’s Day (March 8th) during March, we must remember to appreciate the unwavering integrity our women achieve every day. Whether you’re a Golden Globe and Oscars award winning actress like Paltrow or new to the automotive industry, there are many opportunities for women to own during their careers. If you have interest showcasing your people passion at Park Place, please visit www.parkplace.com/careers to begin or continue a career in automotive. If you’re interested in learning more about Women in Automotive Council from a few council members, stay tuned as Park Place shares more about this dynamic initiative.